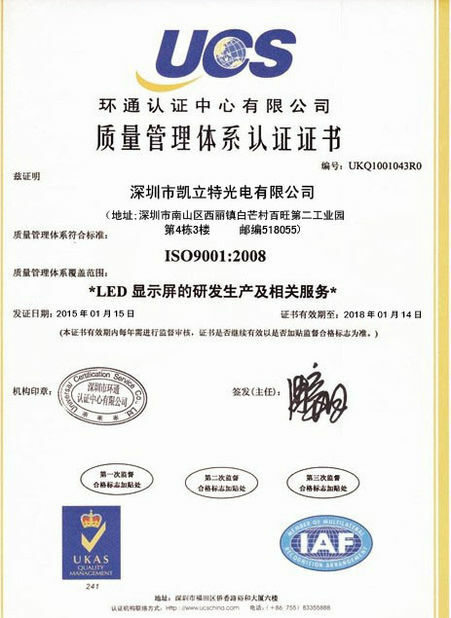 1) Greatly reduced the rate of dead led lamps by Baking them for 12 hours with 65℃ teamperature before produce. 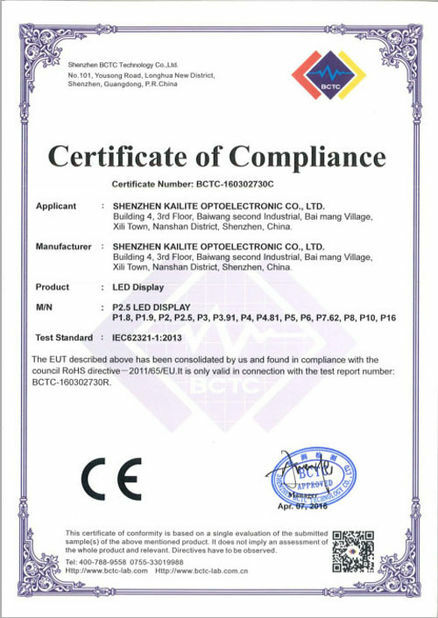 2) Full Automatic production line make all the led modules in same uniform quality. 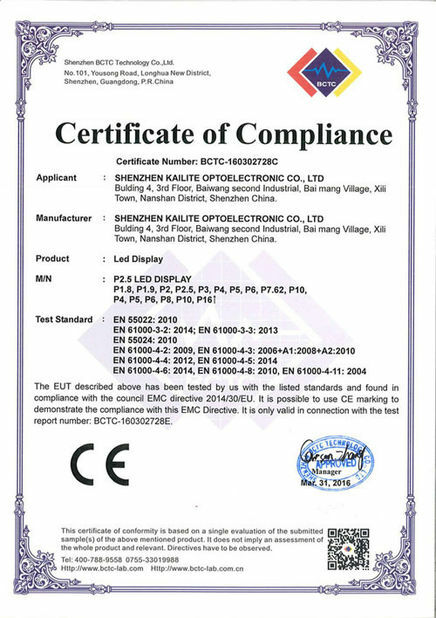 3) QC inspections for each production process. 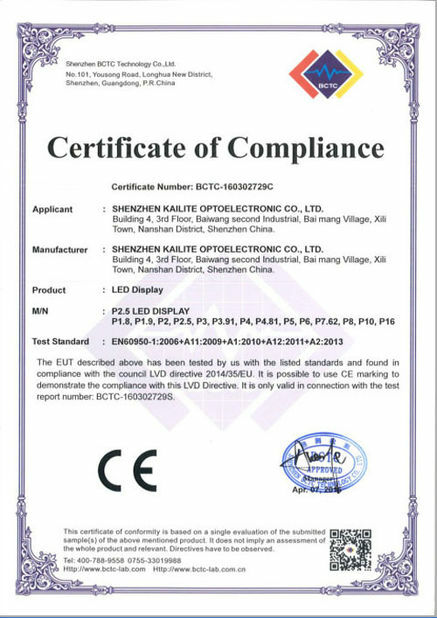 4) At least 90 hours aging tests for led modules and finished led screen. Shockproof test, waterproof test, Gray level test. 6) Each cabinet will be packed with Desiccants by cutomized plastic bags. 7) Each wooden case or Flight case will be wrapped by plastic films to avoid moisture get in. 8) Packages will be took anticollision and shockproof measures. 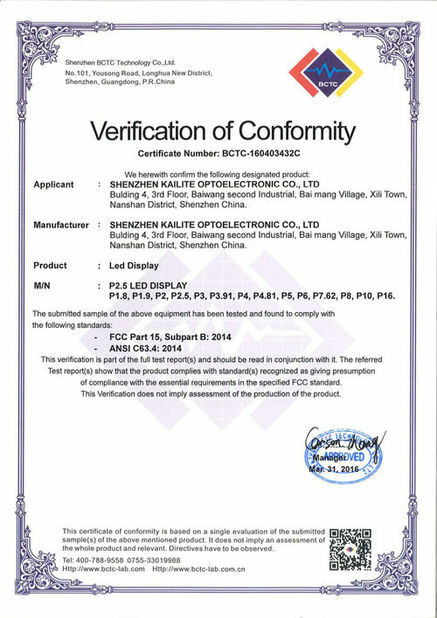 Below is our Qulaity certificates.